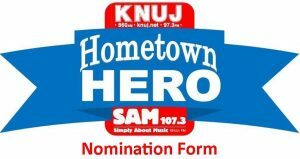 860 AM KNUJ/97.3 FM/SAM 107.3 and your New Ulm HyVee announce this month’s Hometown Hero: Kevin Thies of Arlington. He volunteers many hours to the American Red Cross. In Sibley County and surrounding areas, Thies is called to assist house fire families; in addition, he goes door to door offering to install smoke detectors. In September 2017 Thies worked in a mass care shelter for Hurricane Harvey victims. More recently he traveled to Marshalltown, Iowa to distribute supplies after a torando. He spends many hours in training and is ready to volunteer when the Red Cross calls. 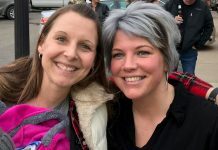 Thies will receive a HyVee giftcard and be recognized at a luncheon next fall. Our latest Hometown Hero: Kevin Thies of Arlington. 860 AM KNUJ/97.3 FM/SAM 107.3 and HyVee wish to acknowledge those in your community, neighborhood or organization that give the most precious gift – time to worthwhile causes, while helping those less fortunate, or rescuing efforts in an emergency situation. We welcome nominations from a 10-county area. Get information at the service count of your New Ulm HyVee, knuj.net or at the KNUJ/SAM 107.3 studios in New Ulm and Sleepy Eye. 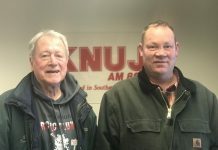 Help us share the stories of Hometown Heroes throughout the KNUJ/SAM 107.3 listening area.